Help People, Help the Planet! 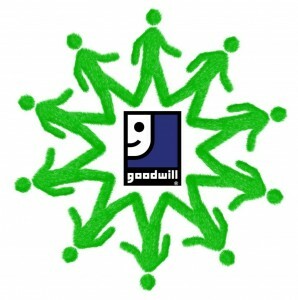 Your donations to Goodwill enable us to help people in our area get training and find jobs. Plus, donating is “green” and good for the planet: it gives others a chance to reuse and repurpose items you no longer need. When you drop off your donations at Goodwill, you’ll receive a receipt from a donation attendant. Hang on to this receipt – at the end of the year, you can claim a tax deduction for clothing and household items that are in good condition. We make it easy! All our stores gratefully accept donations, and our superstores even feature a drive-thru drop-off lane. We also have attended donation centers throughout our service area, as well as bins for your smaller items. Please take our five-question survey and tell us about your donation experience! Need the value of your donations for tax purposes? Click Here. Need to print a donation receipt? Click Here. For more information, call the Goodwill Donations Department at 1-888-279-1988, ext. 1440 or email us here. Goodwill-Suncoast responsibly recycles donated electronics through an R2 Certified Electronics Recycler.